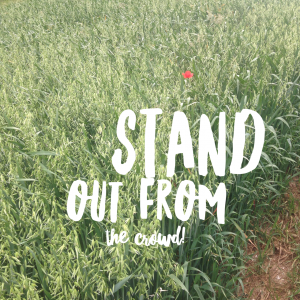 Online Marketing - 3 ways to stand out from the crowd. | KateCoote. The Internet is a crowded space so how are you going to stand out from the throng with your online marketing? If you’re a business owner, looking for ways to carve out your niche is probably not a new thing for you… You’ve likely been up against your local competitors for years… Then along came blogging, email marketing and social media, and you’d be forgiven for thinking that everything just got a whole lot more difficult. But if you embrace online marketing and follow these three simple tips you’ll find your own way to stand out from the crowd. Own your own space – Facebook, LinkedIn, Twitter, Instagram, Snapchat and every other social channel are great ways to share your content and expertise, but it’s important to remember that you don’t own these channels. The number one way to cement your own online identity is to have a slick website that represents your uniqueness. I’m often astounded that there are still business owners that rely on third-parties for their online presence. Having your own website that is eye catching and most importantly kept up-to-date is vital if you want to be successful with your online marketing. If your website is over two years old it probably needs a review, at KateCoote. we offer this as a complimentary service. Turn contestants into customers – Everybody loves a great competition, and that’s no different in the online marketing space. But not all competitions are created equal. The prize needs to be relevant to your audience and you need to get something in return. Facebook is a great platform for promotions, but all too often I see businesses running contests from their wall, “Comment on this photo of our sweet new product, and be in to win a sweet product“, this method offers little hope of receiving much in return except a flurry of activity that may boost the reach of that particular post. By contrast, using third-party software allows you to request more information from the people who enter your Facebook competitions, like the all important email address that will allow you to market to entrants via other platforms. At KateCoote. we regularly set up and administer promotions for our clients, boosting their database and increasing their online marketing reach.